Cork’D feature the Legend of the Past and today’s Stars. This premium Baseball Re-pack values HOF’ers, Rising Stars and great of the past. There will be 6 boxes per case with a minimum of 12 hits from the 1900’s-2017 1/1 in every case, some boxes will have the 3rd hit. 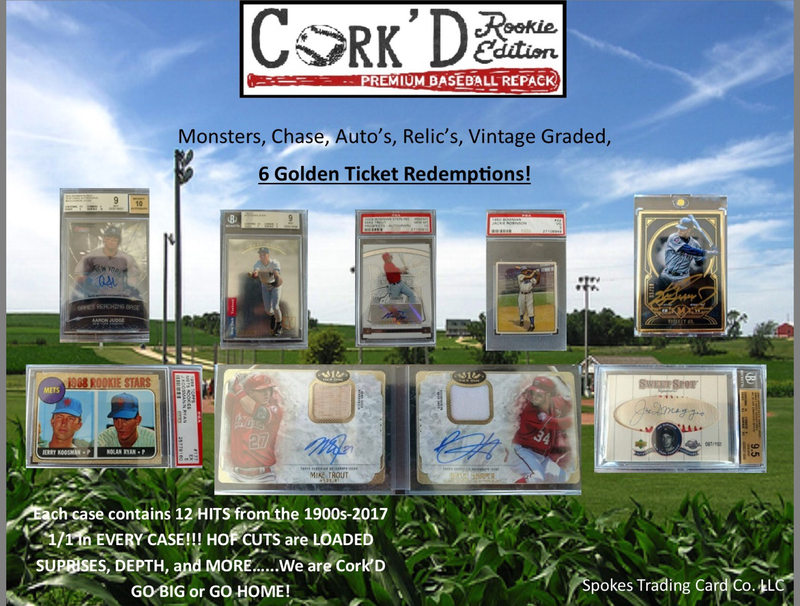 There will also be Monsters, Chase, Auto’s, Relic’s, Vintage Graded and 6 special golden ticket redemptions in the 100 cases. This product is a Southern Hobby Supply exclusive. 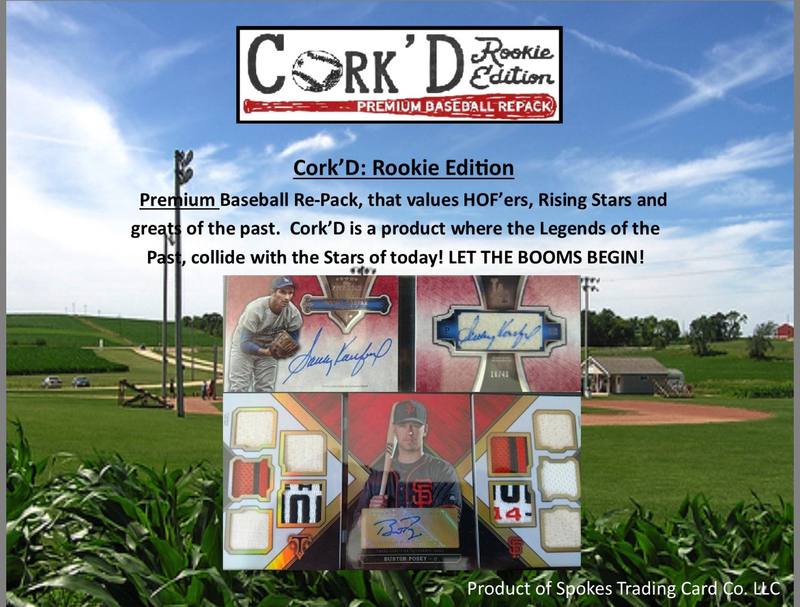 Re-Pack Product created by Spokes Trading Cards, LLC.